Yesterday (Thursday, 1/20/11) was the date of my daughters Tonsillectomy. As per the norm the animals all woke me up at 5:45 am because they wanted to eat. I came out in the kitchen, started the coffee, and let the dogs out, only to see the moon sinking low in the sky. If only I could drive down to the bay, or to a field, to photograph it. Instead I stood on my back deck and watched it sink rapidly out of sight below the tree line. We had to be at the hospital by 8:15, and I had yet to take a shower. In the mean time my husband was driving my younger daughter to school when she starts texting me . . .
her: you should see the moon! It was such an incredible morning for photography, with fresh snow and a beautiful blue sky and a brilliant sun. Some things are more important than others though. The surgery went well. It was quick and the doctor was pleased with how the tonsils looked. He said they were large, but spongy, and they didn't appear suspect. However, he sent them off to be tested anyway. We'll know the results in about a week. We were only at the hospital a few hours before they sent us home. Andria was anxious to get into her own bed. 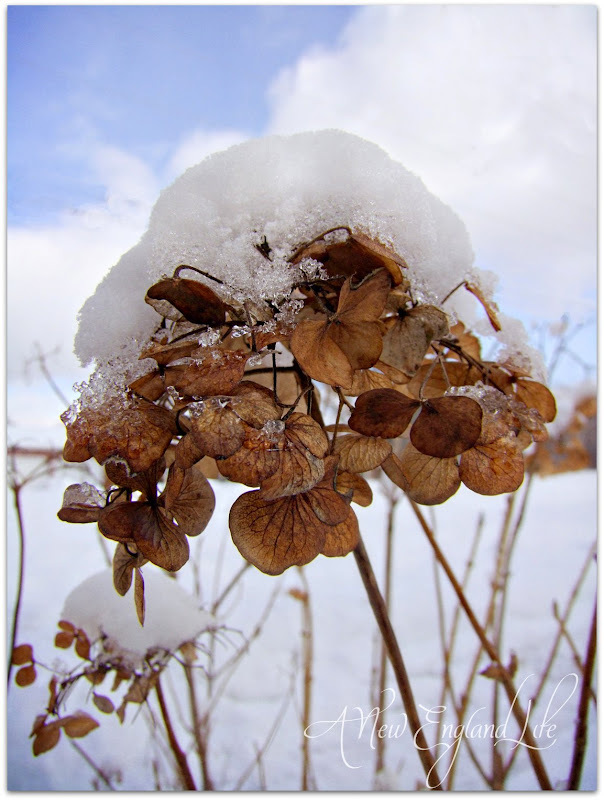 I had been eying the Hydrangeas, wanting to photograph them early in the morning with the sun shining on the snow. They still looked pretty in the early afternoon so I grabbed a few shots. This was my favorite. Shortly after we arrived home I had to go pick up meds. Here we are at the grocery store parking lot. Seriously. I tell you, you just never know where your next shots will come from! These tree's sticking up out of the snowbanks were to pretty not to photograph. Our regular pharmacy didn't have enough Roxicet (liquid percocet) so I had to go someplace else. The other pharmacy had the meds but wouldn't take our insurance so I ended up paying cash. My daughter couldn't wait any longer while I ran to yet a 3rd pharmacy. Needless to say my husband was a little ticked off after he had already called our insurance co and was told the second place WOULD take our insurance. Looking out from our back deck once again at the end of the day. My daughter seemed to be doing really well, but around 8:30 she became very sick to her stomach and felt awful the rest of the night into this morning. Finally, this afternoon she is showing signs of improvement. Hopefully she is almost through the worst of it. And that was my day in pictures! I appreciate all the incredibly kind words you all left for me and my older daughter on the last post. It was of great encouragement for this nervous mom! Today we had another big snow storm. Again, no time for photography as I had to take care of things in the house. Maybe tomorrow I'll get out and about if I can leave the girls alone for a bit. It's supposed to bitter cold though, which does not exactly inspire the photographer inside of me. So glad your daughter is on the upswing now. Poor thing. The moon was awesome! It was HUGE at certain angles. No, don't rock the boat. So if you didn't have time to do the moon photos, did you in the end? Because these are gorgeous. I love your photography, Sharon. Love coming here. Get well quick wishes to your #1 girl. Sending get well vibes to your daughter ..... AND your images are awesome as always Sharon! Sounds like you had quite a day! Glad everything went well for you all! De-lurking to say your photos are beautiful. I have admired them for a long while. No fun being under the weather. Hope your daughter gets well soon. Glad she is improving. Her surgery is a tough one, the older you get! Very tough. Where do you find such glorious snow photos? Oh, that's right. You can get around because you have more than one piece of snow removal equipment in your town. Duh. They're call for another storm on here on Monday night. I dread it for the reason being "I'm stuck in the house..."
Sounds like your daughter did really well. Hope she feels better real soon ! I can relate to the available prescription issues. My daughter had an issue with a pharmacy here when my Granddaughter had her tonsils/adenoids out over a year ago. She had the prescription transferred to another pharmacy, got it filled and they told her the first one should NOT have handled it the way they did. Ins. co. and 2nd pharmacy suggested she file a complaint, but don't think she ever did. Sad that people don't do their job properly, but expect to be paid. Tell her to enjoy lots of popsicles. You did good on your pictures. Even on the busiest of days, you manage to get very incredible pictures. I'm so glad the tonsils didn't look suspect and everything went well. That's a very good sign. HOpe your daughter feels better soon - and that she gets lots of ice cream! Your photos were magnificent - so dreamy!! I'm happy for you that things have gone so well with the surgery. Three places to get the meds? Sheesh... that would so tick me off. We don't need to see the hospital photos... as a 56 year old woman I would not want my boat rocked either... not in a hospital gown... bleh. I was just getting ready to email you but thought I'd see what you had posted first. I'm glad the surgery went well and it's over. I'm sure everything will be fine with her. The moon has been incredible the last few nights, and I've seen some gorgeous sunsets on the way home from work. Always makes me wish for a real camera! Good news to hear your daughter is feeling improved and will be totally on the mend soon. I just love all your photography! Just blows me away every time. Hope your daughter recuperates quickly, Sharon. I remember when I had my tonsils out at age 12. It was not fun. So happy things went well for your daughter... hope the recovery is full and quick! Great shots as always, I'm love seeing your photos! Hope your daughter has a speedy recovery! Glad to hear that so far everything is looking good. And hang in there for the cold... We are expecting temps of -30 the next couple of nights! Ugh.. Such stunning tree images!! So sorry you had those insurance issues but am very glad your daughter is recovering - will pray for her! You find beauty in so many places my friend! Hope things will start to turn around with some fluids and new medication. Love to you! I enjoyed your photos, as always. It's true, you don't ever know where you'll find your next photo! 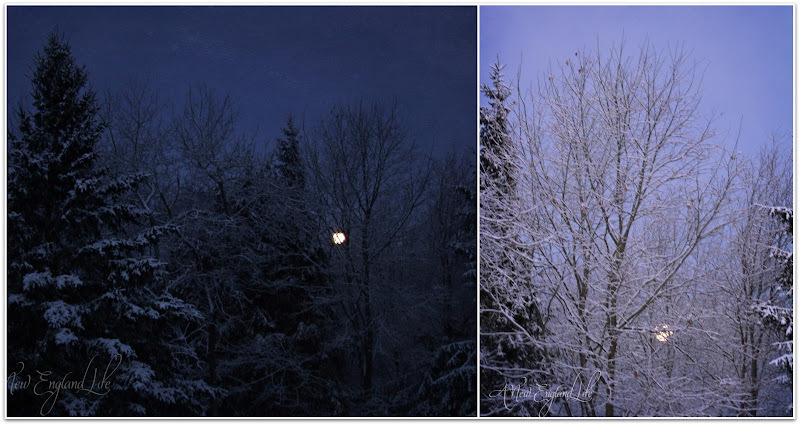 We saw the full moon setting in the morning while we were leaving for the hospital for a minor procedure. Unfortunately, I didn't have my camera with me, but it looked like the moon was sitting on the telephone wire! Fabulous photos, best to your daughter! Glad all went well with your daughter. These photos are beautiful. Wish I was able to visit the area one more time in the winter. Truly a winter wonderland! Hi Sharon...glad things are coming along for your daughter. I wish her well...soon. Your "morning to night" photos are beautiful. I even love the trees outside of the grocery store....but the hydrangea is my favorite! Wishing your daughter a speedy recovery. I see that you take your camera everywhere, I do too because you just never know when the next great shot might occur. I was out photographing the snow today and it wasn't as bad as expected. But I think it is supposed to get worse. Definitely keeping your daughter in my prayers for a speedy recovery. Love your images, and you are a master with textures! Glad to hear your daughter is doing better. Beautiful photos... I almost like winter better after looking at your pics! 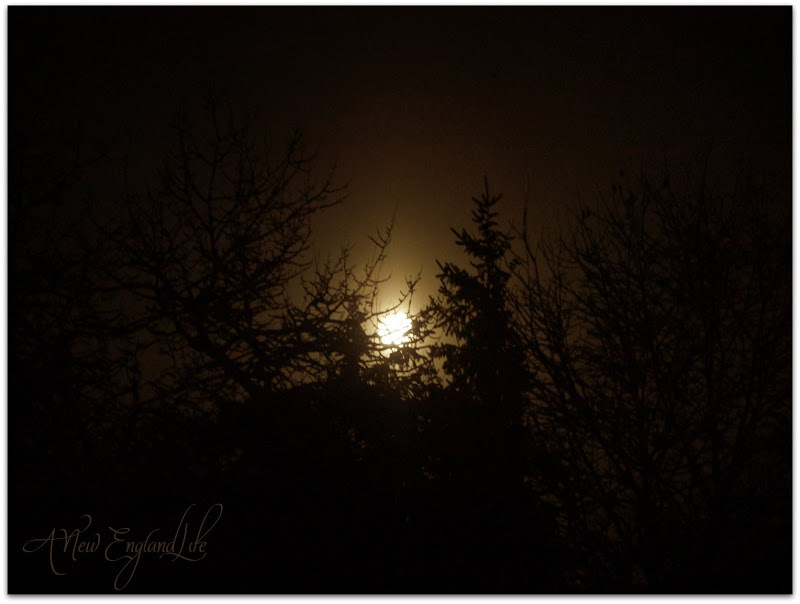 I remember looking out my kitchen window and seeing that incredible moon. Beautiful pictures of the moon! I hope your daughter is on the mend! 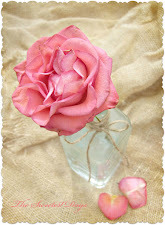 I am so happy to come across your blog from Pretties & Posies.....you are such a gifted photographer. I have lived in MA all my life and am really enjoying your lovely representations of New England. she will come through great but it is a rough time recovering - i hope she has a speedy one. I find pictures always present themselves when I am on a rushed journey somewhere. Hope your daughter is feeling better now. So glad to hear everything went well, in spite of the nausea, et al. That's gotta be the WORST. I love all the photos and I think you made the right call re: the last set of images you chose to leave out. I'm glad your daughter is improving! I was 19 when I had my tonsils out and it was definitely not a walk in the park! The photographs are so nice. Do you have them framed in your house? You should! 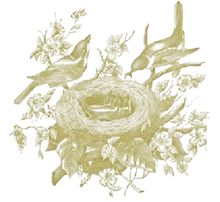 thank you so much for your sweet comments and visitng my blog. you take lovely pictures yourself. Gorgeous images! I hope your daughter is feeling well and recovering quickly! I'm so glad things went well. Your photos are breathtakingly beautiful! I like these ones, it encourages me for the season! How is your daughter? Did you get the biopsy report back yet? You've both been on my mind all day, so I just had to ask how things are? Ho[e your daughter is back to normal now! Lovely photos! I can't decide whether that first shot of the moon, or the hydrangeas are my favourite!